So here’s the obvious answer. More than any other person, our in-home care nurses are there to help the kids themselves. It might be for an hour a day, or it could be 24-hour home care with many nurses. Either way, the kids get top-tier professional help while having one more person in their lives who cares for them on a personal level. Even if the parent or parents are getting help from Medicaid to help with a disabled child, that doesn’t mean that they are allowed to stay at home and take care of them. The parent must still have a job to pay for food, clothing, the mortgage, and and a host of other concerns that help their child. 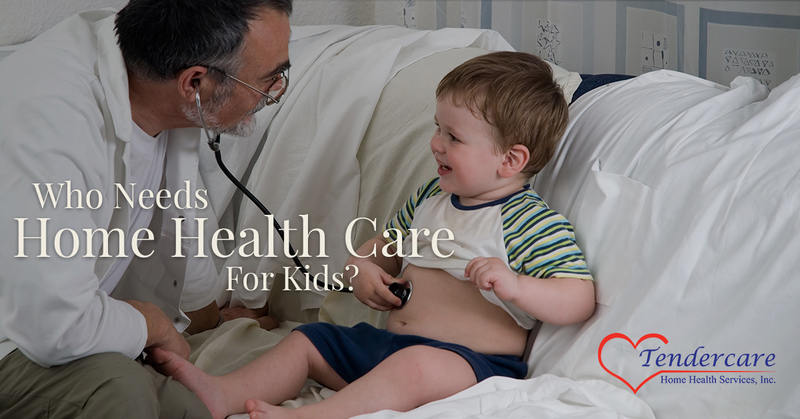 So it’s pretty obvious that at-home pediatric care helps parents. Not only does it help them provide for themselves and the rest of the family, but it also gives them the balance they need between caring for a child with special needs while being able to balance work and work life. To know that your son or daughter is in loving, caring hands every moment of the day allows everyone to focus on the other aspects of life that are also important. Not every child we visit is in need of the 24-hour care of a nurse. While we are there, we are able to support any other caregivers, such as nannies, in their duties (or to give them a much-deserved break for a quiet lunch!). It’s an important relationship to foster. When we come in as caregivers, we’re helping to support the entire family. While that starts with the child in need and their parents, it also extends to any siblings that might be around. Instead of having to take care of their special-needs brother or sister at all times, our at-home nurses allow siblings to have the time they need to be kids, to work on their homework and to play. They’ll also be able to play with their special-needs sibling instead of having to care for them. Of course, caring for them can be informative, too. We know of more than one nurse who got into at-home care because they were inspired by nurses they saw helping a sibling in the home. But we always go for that balance so that we can help the siblings have their own lives. Our primary concern is also the child in our care, but we’re there to provide as much support as possible to any and all who are part of their lives. If you are in need of someone to help take care of a child with special needs, contact us today and we’ll begin the process.